Mobile advertising is one of those tech areas that the average guy on the street might find boring. But it is quietly crucial to the way most of us interact with digital information and content—now, and (especially) in the future. 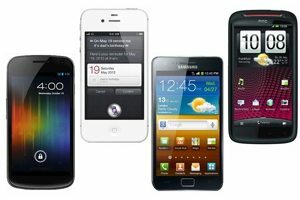 Think of it this way: If mobile advertising fails to take off as an industry, many of the sites and services you access on your smartphone or mobile device could cease to be free. Some would say mobile ads have already taken off—it’s hard to argue with the amount of money that Apple, Google, and others are pouring into the sector—but relative to TV, Web, print, and radio, mobile is still a small piece of the advertising pie (something like 1 percent). Not surprisingly, people who are building businesses around mobile ads think the industry is entering a new era. And they may very well be right. “We’re in that next phase where companies are trying to push the envelope,” says Lars Albright, the CEO and co-founder of Boston-based SessionM. “Banners are a broken entry point,” he adds, referring to the practice of taking banner ads from the Web and applying the concept to mobile.